This post is part of a virtual book tour organized by Goddess Fish Promotions. The authors will be awarding a 30 minute book marketing consultation to a randomly drawn winner via rafflecopter during the tour. Click on the tour banner to see the other stops on the tour. You’ve finished your book—now all that’s left is to get it out into the world. Unfortunately, for many authors, it’s that step of the process that’s the hardest. Marketing is seen as something to be feared, dreaded, and outsourced as much as possible—a daunting task that will leave you drained. But fear not! The team at Wise Ink knows a thing or two about how to sell your book. And they’re here to tell you everything. • What does it really mean to “market” my book? • How do I best reach my specific audience? • What are effective ways to promote my book via social media? • Do I really need to be a public speaker? 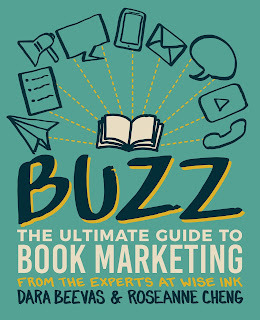 In addition to this, the Wise Ink marketing team has provided sample content calendars, email promotions, a marketing starter kit, and more to ensure you’re prepared to get out there and sell your book. Marketing doesn’t have to be a horror story! 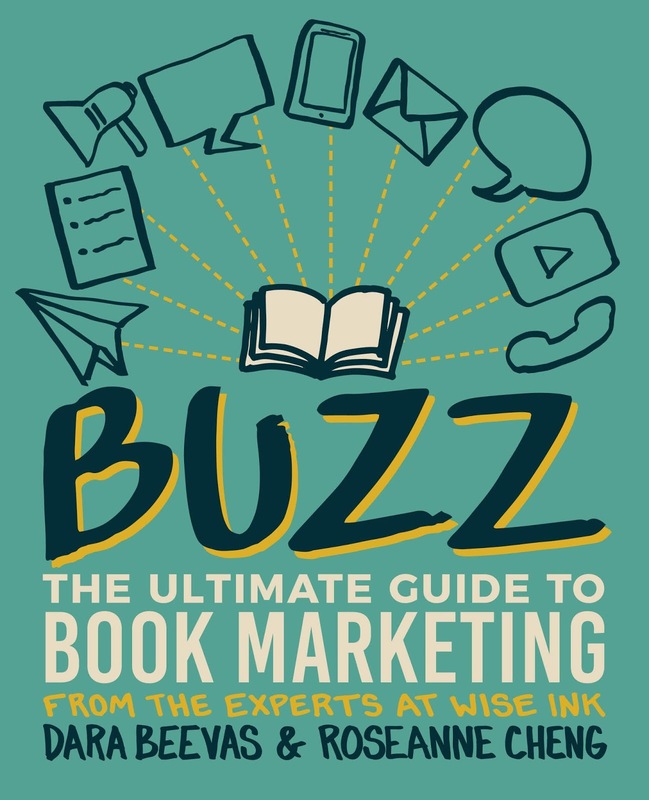 Let Buzz teach you how to take your book to its maximum potential. How do I best reach my specific audience? You will hear us say this over and over again, as it is one of the Ten Commandments of book publishing: Know thine audience! Think carefully about your “ideal” reader. What do they do in their spare time? Where do they normally purchase things? Where do they go for information? And most importantly, what are some unique and organic ways to get your book and message in front of them? Hopefully, by the time you begin marketing your book, you will have already thought through these things carefully. Still, it’s a good idea to refresh your memory. Also, be concrete in how you determine your market demographics. Go deeper than the standard questions around gender, age, education, and geographic location. Those are just places to start. When describing your ideal reader, be specific with the details that matter, such as how much time they have to read, how they might use your book day-to-day, and how they generally make recommendations to others. Another thing to do is segment your readers into three specialized subgroups—communities that align with each reader’s professional identities and personal aspirations. This helps you dig even deeper into the psychology of how to sell your book smartly and where it makes the most sense to spend your time. As an example: To market your business book, you might segment your readers into millennials and recent grads, aspiring entrepreneurs, and motivational speakers. If you've just published a sci-fi thriller, your subgroups might include fans of the popular sci-fi series Black Mirror, sci-fi writers who frequent fan-fiction sites, and people who attend conventions like WorldCon. How does your ideal reader obtain information? Blogs? Magazines? Newspapers? Ads? What social media sites do they frequent? Be as specific as you can here. These are the places you will want to target in terms of marketing. Where does your ideal reader shop? Think beyond bookstores. Are they frequent travelers? (Maybe they shop in airports a lot.) Do they have stores they tend to gravitate toward? Make a list of these places, and find connections there to share your book with. Roseanne Cheng is a former high school English teacher and author of two young adult books, The Take Back of Lincoln Junior High and Edge the Bare Garden, which won the gold medal for young adult fiction at the Writer’s Digest Self Published Book Awards and the Moonbeam Children’s Book Awards. She now works as Marketing Director at Wise Ink Creative Publishing where she holds the secondary title of “Author Therapist” and has the pleasure of helping authors create plans to get their work into the world. When she’s not reading a book or practicing yoga, you can probably find her hanging out with her hilarious husband of ten years and their two ridiculously awesome kids. Follow her on Twitter http://www.twitter.com/teachablelit. Dara Beevas believes that books can save lives, open doors, and build bridges. As co-founder of Wise Ink, she encourages authors to share powerful stories that ignite change, tolerance, and growth. She has been involved in the publishing community for fifteen years, acquiring manuscripts, managing projects, and creating marketing and sales strategies for authors and publishers. She’s helped more than four hundred authors publish their books. She is the author of The Indie Author Revolution and co-author of Social Media Secrets for Authors. When she’s not busy pushing the envelope in this crazy world of publishing and networking with inspiring entrepreneurs, she’s traveling and enjoying her husband Tomme’s delicious Jamaican meals with her daughter Genesis. Follow her on http://www.twitter.com/darairene or http://www.instagram.com/darairene.